Searching for the best Leatherman multitool reviews can be a daunting task. There are over 40 different Leatherman multitools to choose from, so where should you start? Luckily we’ve put together this complete guide and multitool comparison list to help you narrow down and compare Leatherman’s top multitools. 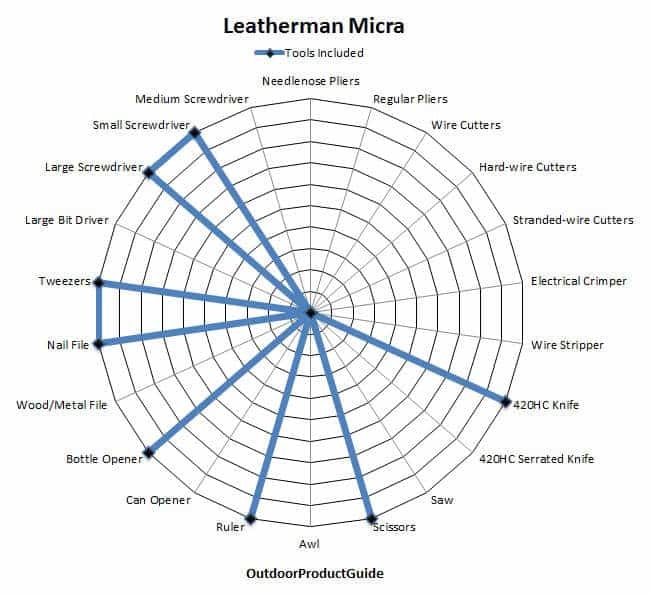 As you can see, the list is long, but easily searchable by product weight, number of tools, blade length, and price. 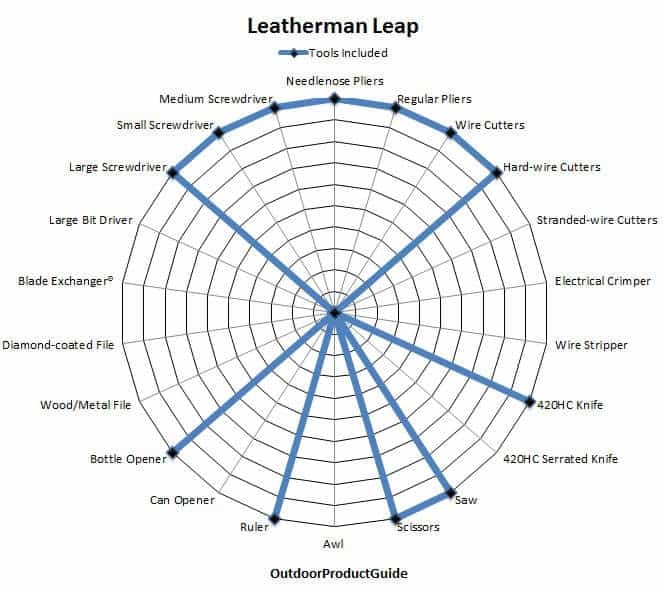 We even have a short multi purpose tool review that highlights each Leatherman tool and breaks them down by cost per tool. 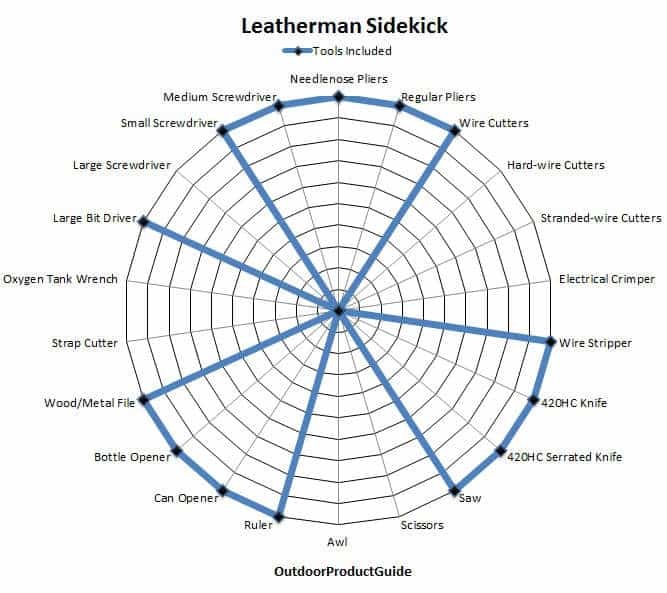 Which Leatherman Multitool Should You Choose? 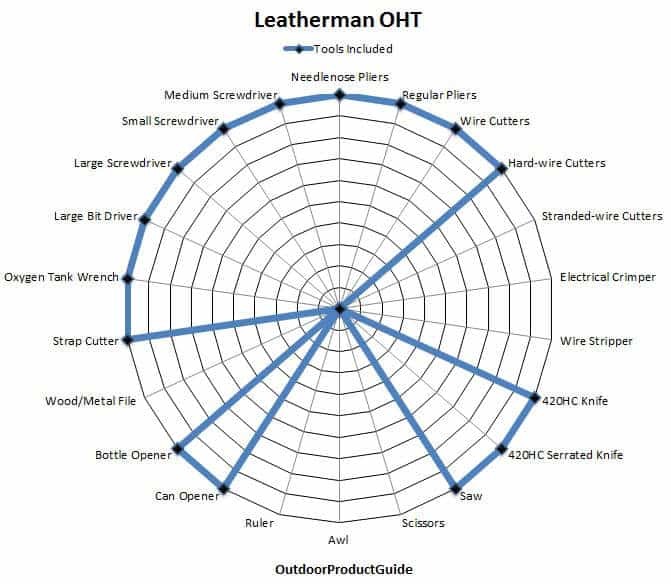 Based in Portland, Oregon, Leatherman produces over 40 multitools of varying tool sets and designs. 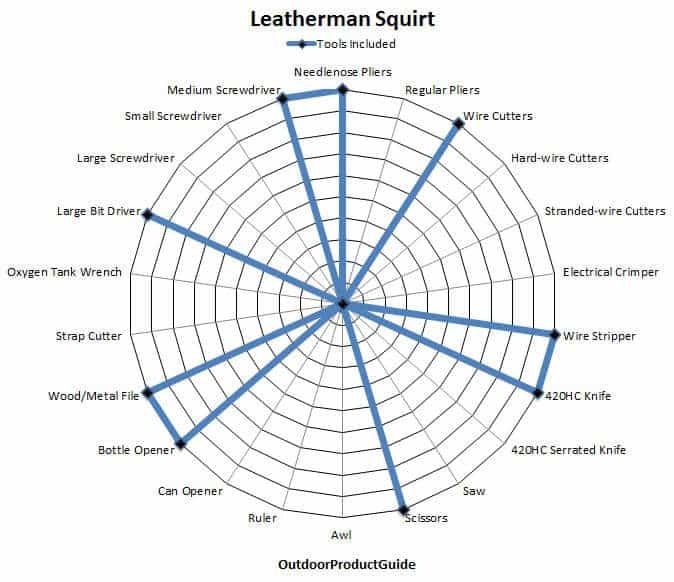 This flow chart makes it easy to visualize Leatherman’s product lineup and the available tool choices based on quantity. 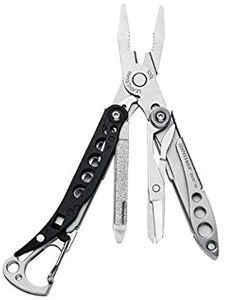 The Leatherman multitool with the most tools is the Surge with 21, while the least is the Skeletool KBX with 2. 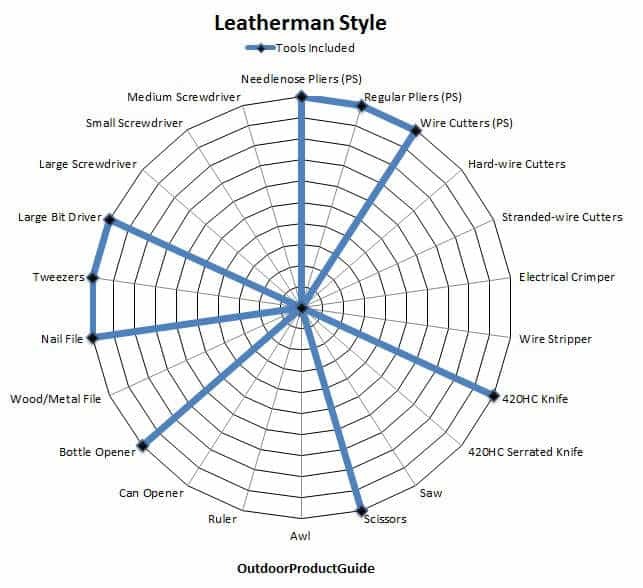 As you can see from the comparison chart above, Leatherman offers many different model choices at each level. The Surge, Wave, and Wingman model multitools are all better suited for carrying in a belt mounted sheath or in your tool belt. The Micra, Skeletool, Freestyle, and other models in their class are all designed for compact carrying, EDC, or key chains. 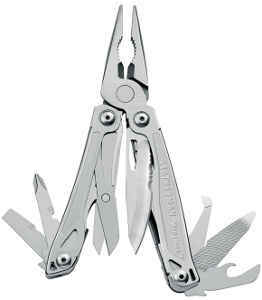 Leatherman currently produces over 40 high quality multitools designed to accomplish a wide range of tasks. From heavy duty multitools, to lightweight multitools that fit on your key chain, there’s something for everyone. 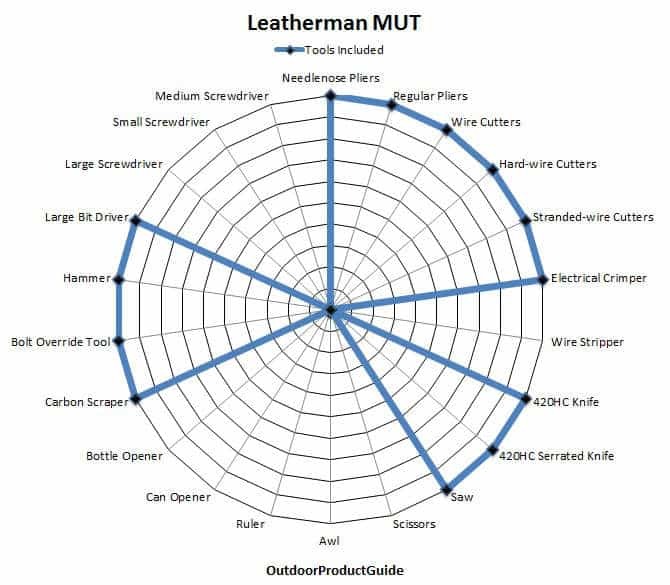 Lets take a look at the top Leatherman Multitools currently available, highlights of their capabilities, and why you should choose one over another. The Leatherman Super Tool 300 is arguably Leatherman’s best multitool to date. 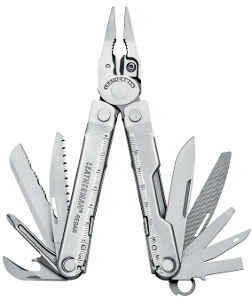 With 19 tools, it’s second only to the Leatherman Surge with 21. Recently redesigned, the Super Tool 300 features a removable plier head that makes sharpening and replacing the wire cutters easy. This tool was built around the heavy duty pliers, and gripping even with gloves on is not a problem. It’s available in a regular and Explosive Ordnance Disposal (EOD) version. The Leatherman Super Tool 300 is made out of durable 420 stainless steel, so it’s not going to corrode or rust. It’s also not going to bend or break under heavy loads, like some of the cheaper multitools might. 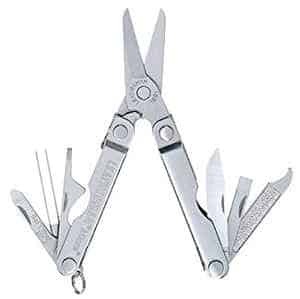 The Super Tool 300 is the Leatherman Wave alternative in that it really only lacks scissors. It’s also about $20 cheaper and $1.30 less per tool. 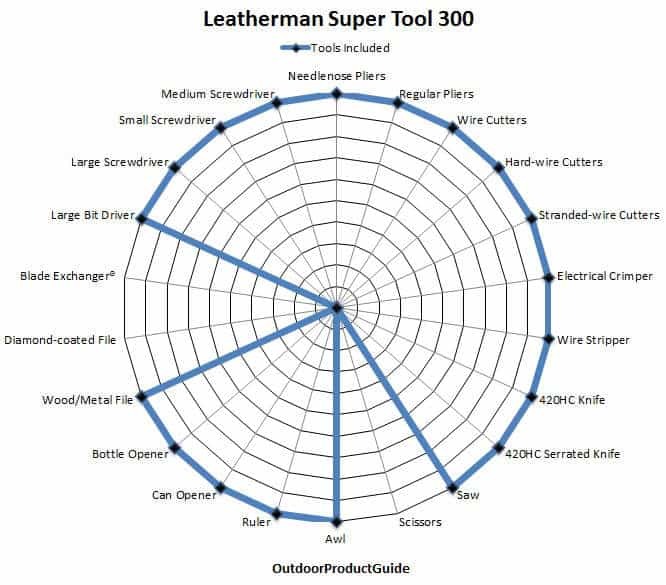 Leatherman recently released a new version of the Super Tool 300 for their EOD lineup. This tool features additional tools for military use like the military-performance-spec cap crimpers, fuse-wire cutters, and Leatherman pliers. Improved for 2019, the new Leatherman Wave + has been upgraded with replaceable wire cutters. 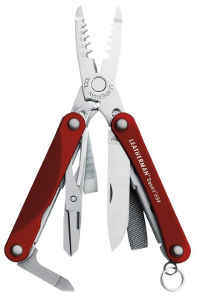 The standard 18 tools are still there, but Leatherman addressed a common issue with wire cutters wearing down and not being able to be switched out. That is a thing of the past, as the wire cutters now disassemble to allow for sharp new blades. 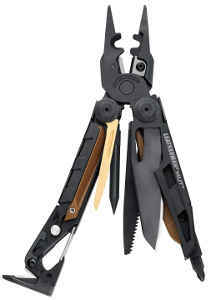 Many of the tools on the Leatherman Wave + can be opened from the outside without out having to open the entire tool. This is a great feature for one handed tasks and general everyday use. 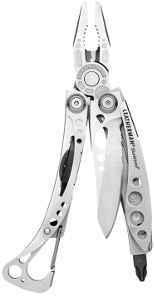 The Leatherman Skeletool is slightly different than most multitools you’ve probably seen. It has a futuristic look in many ways. You can see that a lot of time went into designing this multitool to combine everything you need on a regular basis into a compact tool. The Skeletool comes in 5 different models, including the CX, Damasteel, KBX, RX, and the original. 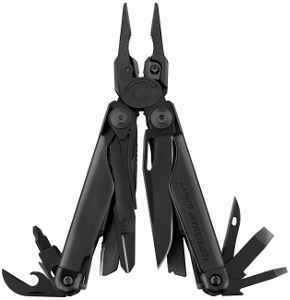 The original is a 7 tool setup with all of Leatherman’s most popular tools in a subcompact frame. The Skeletool CX features 154CM stainless steel throughout, whereas the original is made of 420HC Stainless Steel. The Skeletool Damasteel features a Damascus main blade. Other models of the Skeletool, such as the KBX Leatherman pocket knife , have the same great Skeletool look, but in a pocket knife frame. The Skeletool RX is designed for first responders and includes a serrated blade and glass breaker. If you were asked to pick the 7 tools you need the most, the Leatherman Skeletool would probably have them. Its lack of tools is made up for in its compact size and light weight of only 5 ounces. 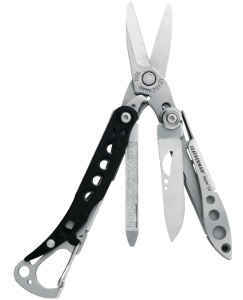 According to our cost per tool analysis, the Skeletool is on the high side around $8.56 per tool. If you’re looking for a cheap Leatherman Skeletool, you’re simply out of luck. The Leatherman Charge TTI Multitool features a durable titanium frame which houses 19 of the most popular tools. In fact, that was Leatherman’s main goal, to incorporate all the most useful tools into a compact frame with aesthetic appeal. We think they accomplished that task. The Charge is available in the + and +TTI models. The difference between the two is that the +TTI features a crimping tool and a titanium handle. 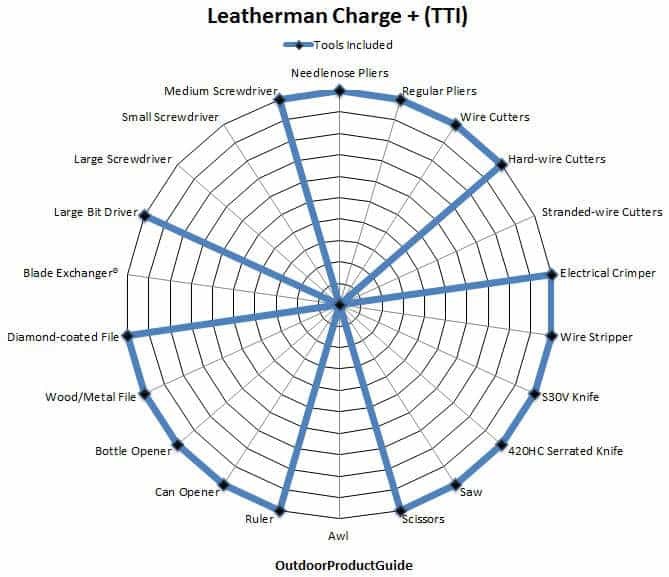 Not only do the Leatherman Charge + and + TTI look good, but the ergonomic design is also well thought out. Each tool locks in place, can be used without opening the entire tool (almost functioning like a pocket knife), and can be used one handed. 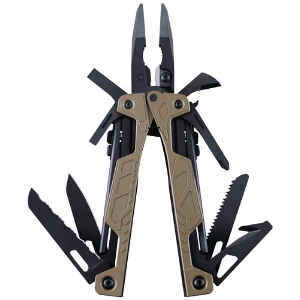 For military use, this multitool can accomplish almost any task, is constructed of durable titanium for dependability, and its ergonomic design is one of the most efficient multitools for 2019. 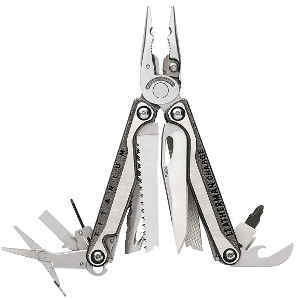 The top heavy duty multitool that Leatherman offers which can complete the most tasks is the Surge. This behemoth weighs in at 12.5 ounces and has 21 tool features. The Leatherman Surge has four different sized blades, the largest set of pliers available, and replaceable wire cutters. Each of these tools are housed in a stainless steel body that is extremely string and durable. The Surge combines all of the tools you’ll find in Leatherman products in just one frame. 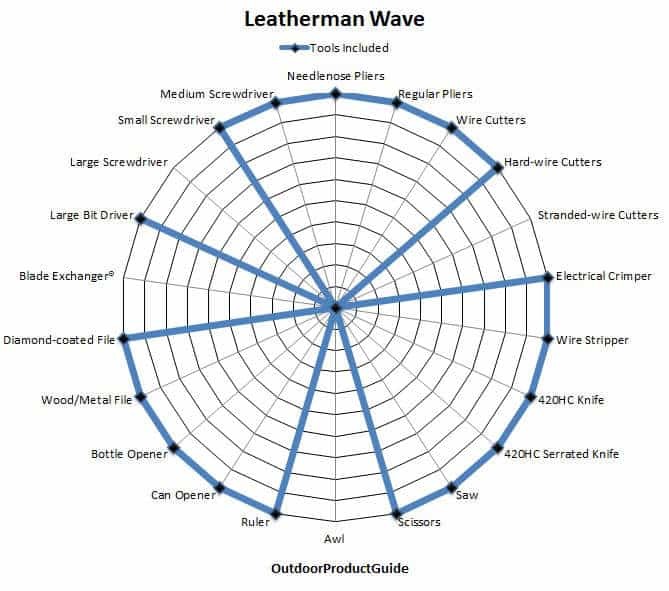 The addition of the saw, metal file, scissors, and electrical crimper set it apart not only from other Leatherman Multitools, but from competitors as well. 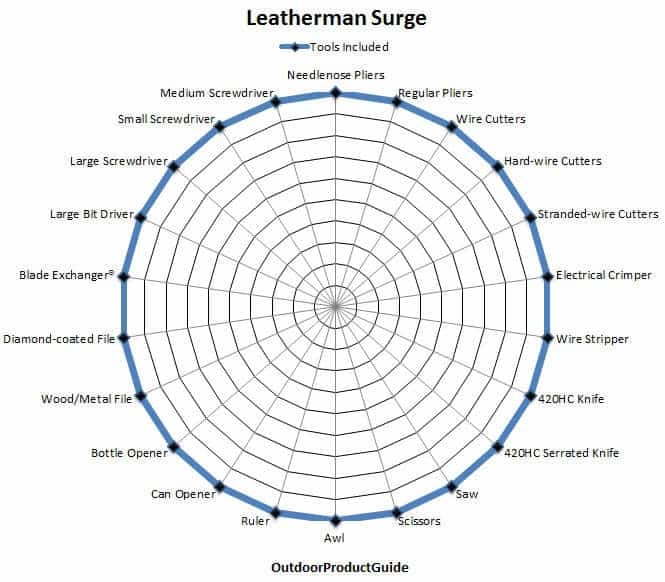 When comparing the Leatherman Surge vs Wave, the Wave lacks the stranded wire cutters, awl, large screwdriver, and blade exchanger. The Surge is best multipurpose tool currently available. Conveniently named the “Wingman”, this multitool is designed to be by your side helping you through it all. This pocket sized multitool is entirely stainless steel for corrosion resistance. The Wingman features an outside opening blade and spring assisted jaws for easy use. At 7 ounces, it’s extremely light and perfect as an EDC Multitool to use around the house, camping, or hiking. 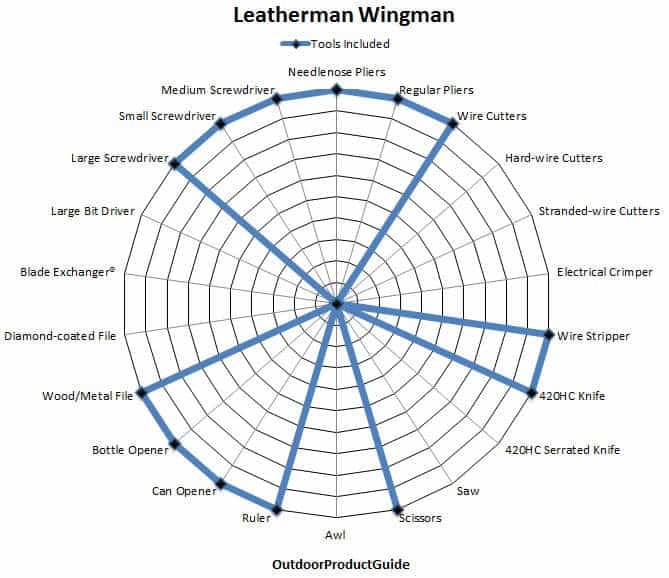 The Wingman is centered on everyday uses; hence the common tools such as the bottle opener, can opener, and package opener. 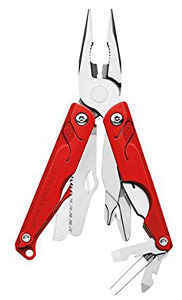 This lightweight multitool is perfect for carrying in your pocket where it can always be on hand should the need arise. The Leatherman Signal was designed as a survival multitool and a rescue multitool all rolled into one. The Ferrocerium rod is removable and when struck by a metal object (i.e. the backside of the knife blade), it creates a spark for easily starting camp fires. A handy removable whistle functions as a rescue device, and a diamond coated blade sharpener ensures your edge stays sharp no matter where you are. These handy features, in addition to 16 other common tools make the Signal a backpacking multitool must have. 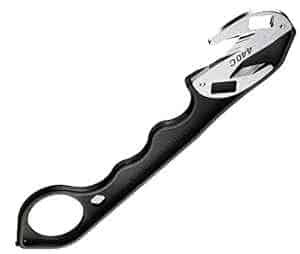 It’s commonly rated as one of the best multitools for camping. The Leatherman Crunch may look like your standard vise grips, but it can actually tackle up to 16 different jobs. The locking pliers can grip up to 1-inch pipe, making it perfect for welding and plumbing applications. The locking screw at the base of the handle can be removed to expose a hex bit adapter, and all of the blades release with the push of a button. The Leatherman Freestyle is designed to function as a pocket knife, while having some of the basic features of a multitool. While closed, it measures 3.5 inches which is perfect for EDC carry and everyday use. While closed, the 2.6 inch blade is still accessible for that pocket knife like feel. When it opens though, it really shines and exposes the heavy duty pliers which function as wire cutters and needle nose pliers. This combination of a multitool pocket knife transitioning into a multi-purpose plier is a very handy feature for real world use. The Leatherman Juice is a series of lightweight multitools with varying design and capabilities. 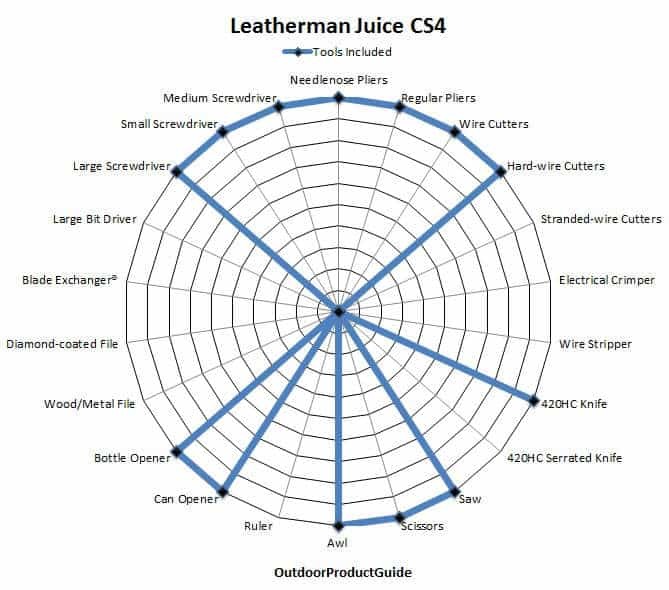 The Juice comes in the C2, CS3, CS4, S2, and SX Leatherman models. Rumors of a Leatherman S3 have yet to be confirmed. The Juice C2, CS4, and S2 are all built on the same multitool frame. 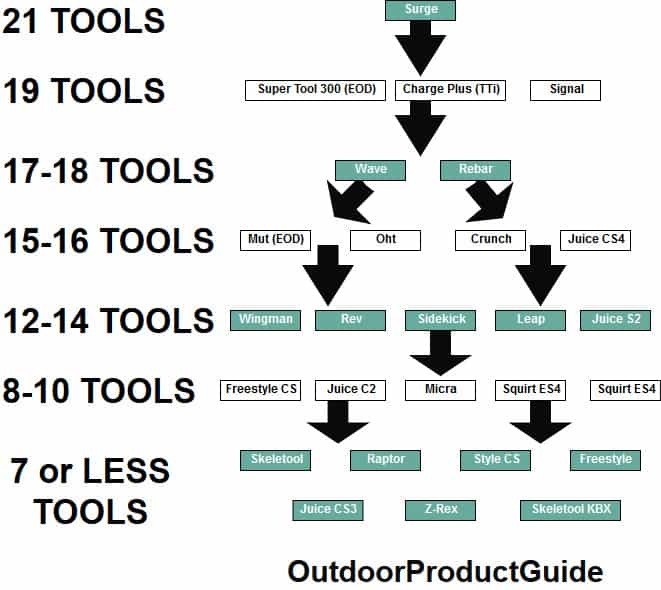 The C2 has 10 tools, the S2 has 12, and the CS4 has 15. The main difference between C2 and the S2 is the lack corkscrew and scissors, and the main difference between the S2 and CS4 is the Awl and Saw. 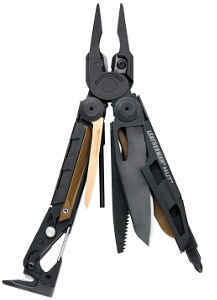 The Juice CS3 builds off of the Swiss army knife concept and isn’t really comparable to the other Leatherman models. It’s a pocket knife design with 4 mostly beverage related tools (corkscrew, bottle opener, can opener, and scissors). The Leatherman Juice CS4 is one of the few multitools with almost every size of screwdriver that Leatherman offers. The extra small screwdriver makes it one of the best Leatherman for computer work and tech jobs. Between it and the Squirt ES4, most electrical related tasks can be completed. The Leatherman Leap is designed for specifically for kids. 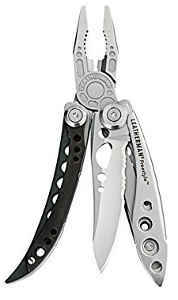 Leatherman focused on creating a multitool that was ergonomically safe compared to their regular models. To do this, they implemented a removable main knife blade so that parents can decide if their kid is responsible enough to use it. Each tool is equipped with a safety lock to prevent the multitool from closing prematurely, thus increasing safety. 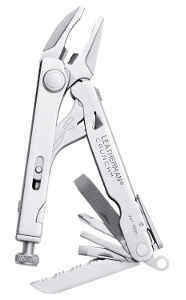 The Leatherman Leap packs 13 everyday tools in to a compact and lightweight frame. The Leap is 3.3 inches closed and 4.9 ounces, making its smaller size ideal for kids to use. It’s one of the few Leatherman without a locking blade should you chose to remove it. 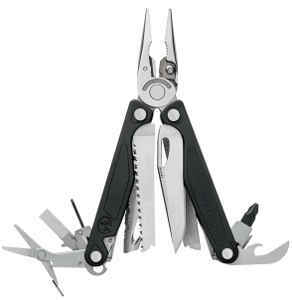 The Leatherman Micra is one of the lightest multitools that Leatherman produces. Designed as a key chain multitool, its main purpose is to be everywhere at all times and give you no reason to be without it. 10 tools are packed into its mini multi tool frame, including scissors and tweezers. The Micra is the most popular multitool for fishermen, sewing, and hobbyists due to its compact size and ability to be stored easily. The Leatherman MUT Multitool is the perfect multitool for military, hunting, and gunsmiths. It’s available in two models, regular and the EOD version. The regular version of the MUT has a 16 tool set that covers all the regular needs, but also includes a bronze carbon scraper, bolt override tool, disassembly punch, and cleaning rod attachments. The EOD Version of the MUT is modified slightly to include a Military Performance Spec Cap Crimper and Replaceable C4 Punch. With these additions however, it doesn’t have the replaceable wire cutters that the regular MUT has. Both of the MUT versions will be able to punch out firearm rods to aide in disassembly and cleaning, and have multiple attachments designed to thread onto cleaning rods and brushes. The MUT is one of our top picks for the best multitools for deployment. What does OHT mean? It stands for “One-Handed Tool”. 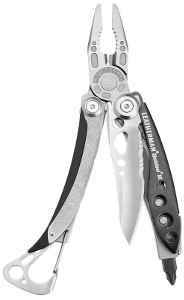 The Leatherman OHT is the ultimate one handed operated multitool. Very few multitools can be operated 100% by one hand, and the Leatherman OHT is one of them. 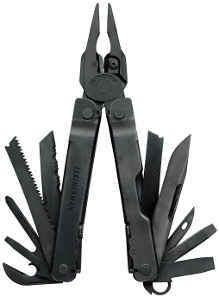 While other multitools focus on one handed pliers or blades, Leatherman managed to do this for 16 different tools. How did they do this? First they added spring assisted pliers and then made all of the other tools capable of opening from the outside with an assist. The handle is even marked for which tool is located where. It may take a little getting used to, but the one handed operation of the OHT is second to none. The newly redesigned Leatherman Rebar hearkens back to the early days of the original Leatherman and its blocky, but popular design. Today, you’ll see most Multitools streamlined, but there was a time when this style of multitool reigned supreme. In fact, it’s what helped built the brand. The Rebar still retains all the popular 17 tools that will tackle just about every task, but it now has replaceable wire cutters that improve its long-term use. Not your typical multitool, the Raptor is Leatherman’s answer to the perfect medical and first responder tool. They’ve managed to pack 6 medical related tools on the 5-inch stainless steel medical shear s frame. The strap cutter functions as a seatbelt cutting tool and the ring cutter makes removing jewelry by EMT’s extremely efficient. The Leatherman Raptor also features a carbide glass breaker tip for eliminating windows for rescue operations, and an oxygen tank wrench for quick tank changes and hookups. The Raptor was designed with input by EMT’s and medical operators in order to produce a sleek multitool with the most popular first responder desired tool sets. In life saving situations, time is of the essence, so limiting the Raptor to 6 tools was essential for use and mobility. 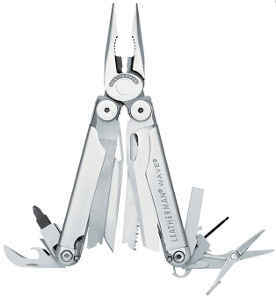 The Leatherman Rev is a budget multi-tool that packs 14 all-purpose tools on to a compact frame. The quality is not quite as good as the top Leatherman multitools like the Surge or Wave, but it serves it desired purpose at its price point. The Rev comes with all of Leatherman’s standard tools, but lacks specialty tools like the scissors, awl, and replaceable wire cutter heads. Still, it’s an EDC multitool that won’t break the bank if you misplace it. 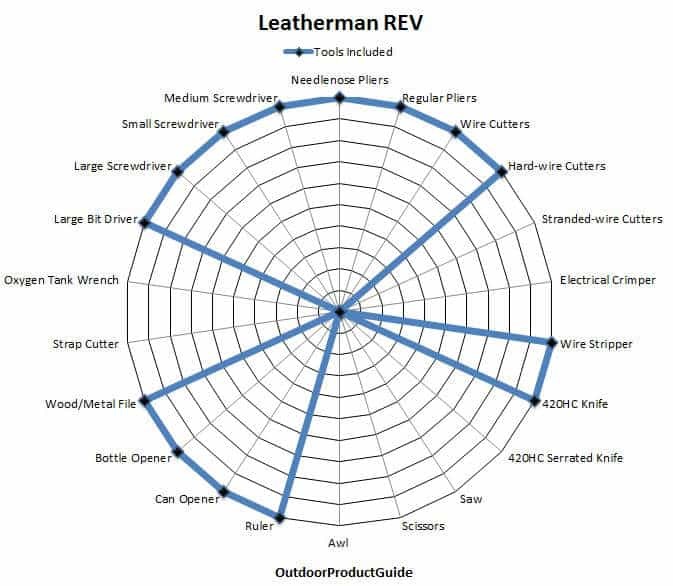 The price is also what makes the Leatherman Rev really attractive. In our cost per tool analysis, it ranked 1st with a $2.50 cost per tool ratio. In fact, no other multitool even came close. The Rev makes a good multitool to give as gift or even buy multiples to place in different work stations. 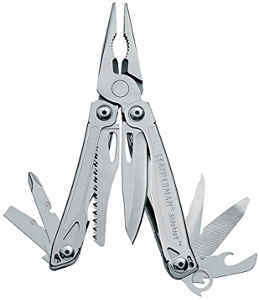 It’s the best value multi tool that Leatherman produces. The Leatherman Sidekick is essentially a beefed up Leatherman Rev. Where the Rev lacked certain tools like the scissors and saw, the Sidekick delivers. Other improved features over the Rev include a main knife that can open one handed and spring assisted pliers. The Sidekick improves the ergonomics with spring assisted options and one handed opening. Rounded handles help provide grip and ease of use for tasks requiring extended timelines. 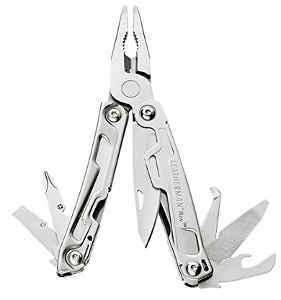 The Leatherman Sidekick is the smallest Leatherman with pliers. 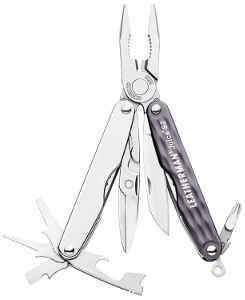 The Leatherman Squirt was designed as a key chain multi-tool that could be carried in your pocket with ease. It’s offered in two different models, the ES4 and PS4. Both offer 9 different tool options. The Squirt ES4 is a specialty electrical multitool with varying wire cutter options. Its wire stripper is built into the plier head and is sized for 12ga thru 20ga wire. The Squirt PS4 is built on the same frame as the ES4 but designed for general use. The main difference in the Squirt ES4 vs Squirt PS4 is the ES4 pliers function as a wire stripper and the PS4 pliers function as regular needle nose pliers. 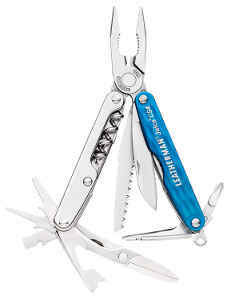 The Leatherman Style is another keychain multi-tool that’s smaller than Squirt and more aesthetic (hence “Style”). It comes in two different models, the Style CS and Style PS. 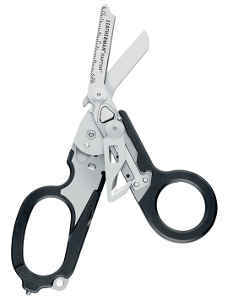 The Style CS ditches the main plier tool and is designed around a stainless-steel pair of scissors. It features 6 tools total with a handy carrying clip for conveniently hanging it from fly fishing vests or other places where scissors are used often. The Leatherman Style PS is almost exactyl the same as the CS model, but it’s centered on the traditional plier head and frame instead of the scissors.. It packs a 9 tool set, but that’s mostly due to the added functionality of the pliers themselves. It also includes a smaller pair of scissors built into the handle. The main differences between the Style CS vs Style PS is the main tool featuring scissors vs pliers. The PS has 9 tool functions while the CS only has 6. Both are compact Leatherman pocket tools. The Leatherman Z-Rex was designed specifically for firefighters and first responders. It has all the tools you need for responding to car crashes and other vehicle related calls. The cutters work to channel seatbelts into the blade for quick and complete cuts. The blades are replaceable and can be switched out routinely. 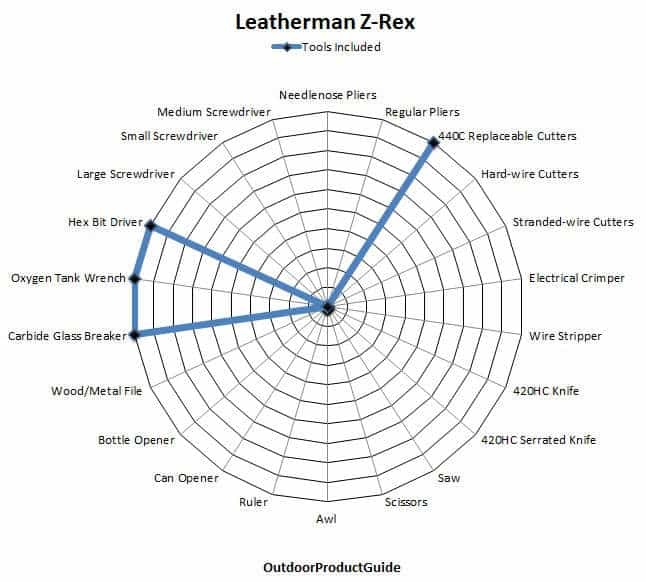 The Z-Rex, like the Leatherman Raptor, has the oxygen tank wrench, glass breaker, and hex bit driver. It’s the ultimate tool for arriving on scene and needing to tackle everyday situations. It’s lightweight and compact frame makes it easy to store on a vest, utility belt, or in a pocket for quick access. So you’ve scrolled through this review of Leatherman multitools and are still wondering which tool is right for you? Hopefully that’s not the case, but if it is don’t worry, we’re about to break it down even further. Most likely you have a specific purpose in mind as to why you need a multitool. Whether it’s for military use or backpacking, the list can be narrowed down considerably depending on these factors. The most common tools across all Leatherman Multitools are the bottle opener (42), wire cutters (39), and the screwdriver (30). The least common tools are the scraper (2), Ferro starter (1), and corkscrew (4). 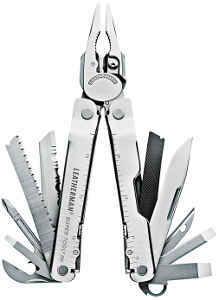 Leatherman produces 8 heavy duty multitools, 17 full size multitools, and 14 pocket size multitools. The heaviest Leatherman multitool is the OHT which weighs 9.9 ounces. The lightest is the Skeletool KBX at 1.3 ounces. 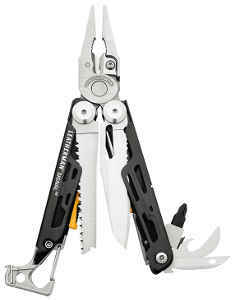 The Leatherman multitool with the longest main blade is the Super Tool 300 EOD at 3.2 inches. The shortest blade length goes to the Style CS, Squirt (ES4 & PS4), and Micra at 1.6 inches. Now that we’ve explored each of the Leatherman multitools and their features, lets compare them to the suggested MSRP to calculate the cost per tool to help us determine the best multitool for your money. In the chart below, we’ve calculated the cost pert tool based on the current prices at Amazon as of 2018. These are subject to change, but it still gives us a good idea of which tools really give the best bang for the buck. It’s important to note that cost per tool is not always the best overall deciding factor, but it does give us a good idea of where the value lies. 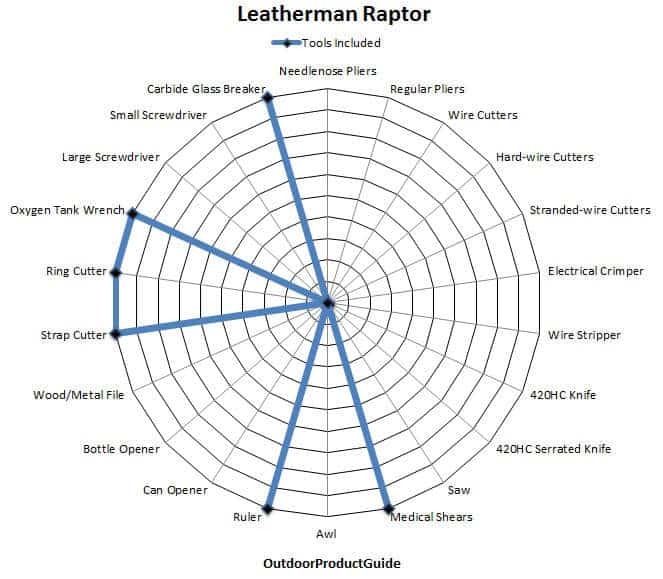 Features such as titanium handles, Damascus blades, and specialized tool sets demand premium prices that dramatically increase each items cost per tool. 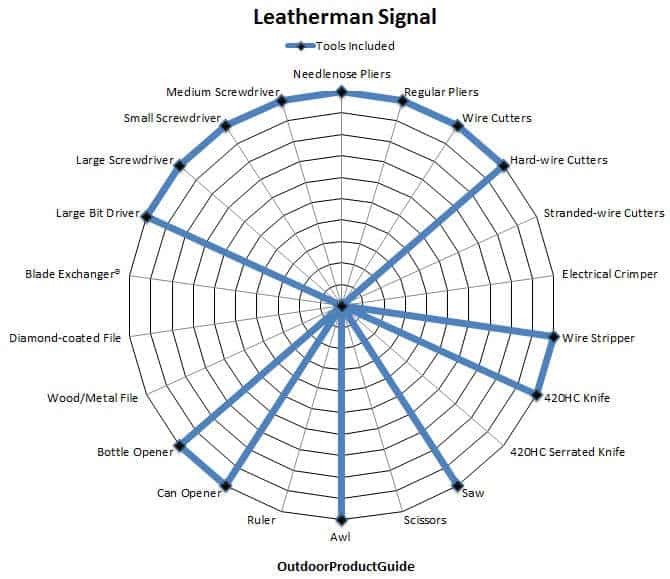 The addition of Leatherman accessories such as sheaths and specialized engraving can also skew pricing. 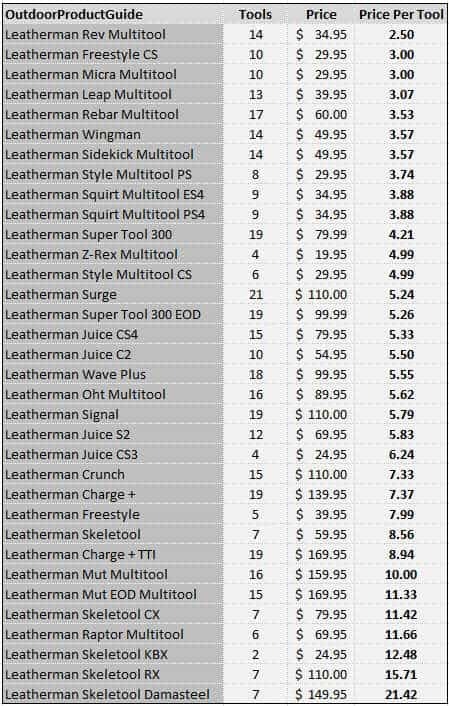 Cost per tool analysis of the top 34 Leatherman Multitools. (Price/# of Tools = Price Per Tool). Price based on 2018 MSRP. In our cost per tool comparison list, the Leatherman Rev came out on top at $2.05 per tool. 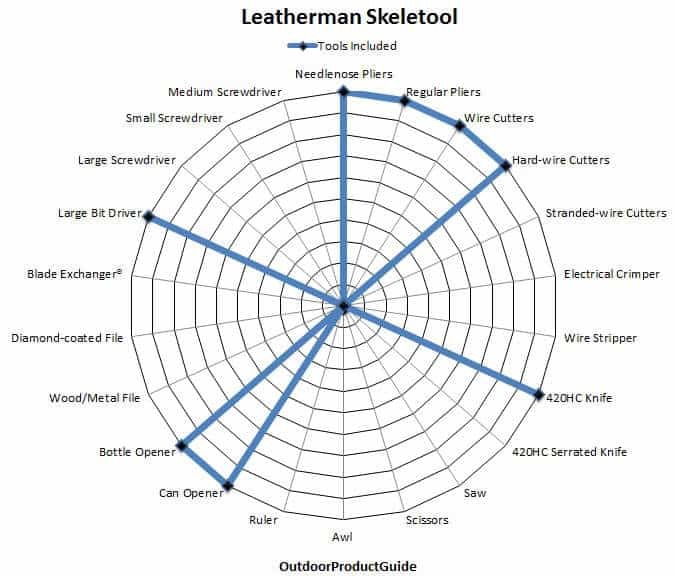 On the flip side, the most expensive cost per tool ratio belonged to the Skeletool Damasteel at $21.42. This is a pretty large range between the two multitools, but when you consider the Damasteel is a specialty tool, it all starts to make sense. Ten multitools had a cost per tool ratio under $4 and twenty-one multitools had a price ratio under $6. 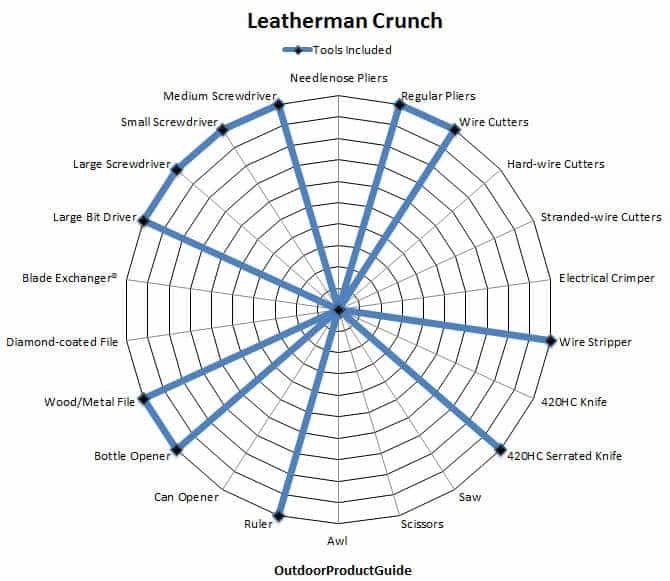 This shows that Leatherman offers many well priced multitools to choose from in addition to the top of the line specialty multitools that exceed $10 per tool. It’s important to note that the cost per tool isn’t the end all when choosing which multitool will fit your needs the best. With that said, if you’re looking for value, it’s hard to discount the deal you get with the Leatherman Rev. Other notable mentions include the Super Tool 300 and the Leatherman Rebar. The Super Tool 300 has a price per tool ratio of $4.21. This is the lowest cost per tool of any multitool with 19 tools or more. The Super Tool 300 is one of the best value multitools that are currently available. It remains our recommendation if you need a versatile multitool at good price. The only downside is the lack of scissors. 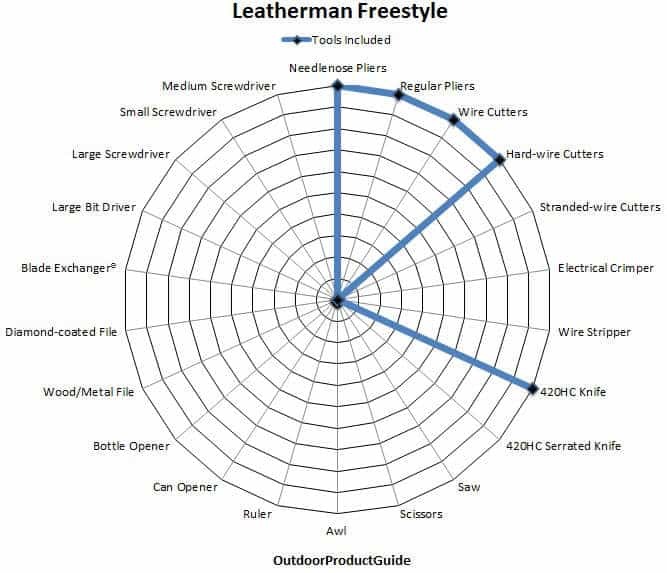 In this Complete Guide to Every Model of Leatherman Multitool, we’ve consolidated all the information into one ultimate review to help you quickly determine which Leatherman Multitool is the best for you. 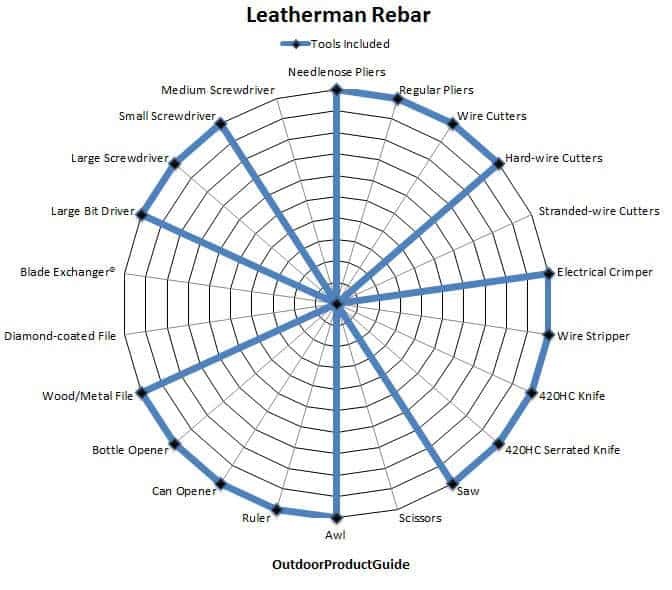 Our cost per tool analysis resulted in the Leatherman Rev as being the best value multitool for what you get. For other top multitool picks, check out our Multitool Buyer’s Guide for new and improved products for 2019 and beyond.